The growing lights chip onboard tech, multiple led chips are integrated together into one panel instead of a single diode. 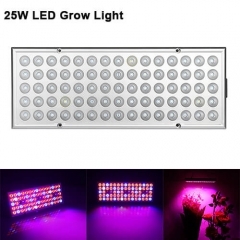 This led grow lights can increase the lighting area and brightness level, which means bigger light coverage for less electricity cost and less heat output. 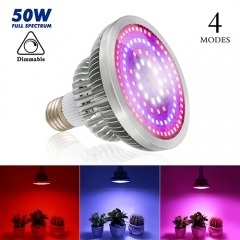 Comparing to other grow lights with single chips and the secondary lens, this integrated of LEDs plant light effectively improves much the color uniformity and PAR value to increase yield, providing better absorption of lights than normal grow lights. 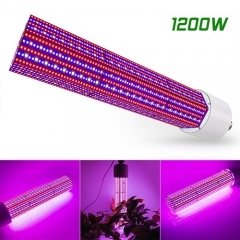 This grow light have a wider spectrum of light (instead of purely red and blue light) provides your plants with everything they need in nature, which results in greener, healthier growth and better-looking buds for your plants. Ideal for all phases of plant growth, and works well with water solution culture and soil culture.Can be used the in-house garden, pot culture, garden, sowing, breeding, farm, flower exhibition, bonsai, garden, greenhouse, sowing, breeding, farm, greenhouse cultivation, water-soluble breeding, greenhouse cultivation, pipeline cultivation and so on. 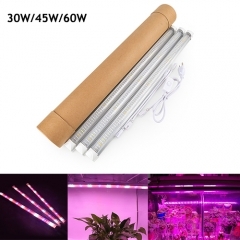 Cooling the heat by an aluminum substrate directly, reducing the contact thermal resistance; plus the CE certificated fans are an effective way to keep heat under control, ensures the healthy and rapid growth of your plants, and the led grow lams span life over 50000Hrs. 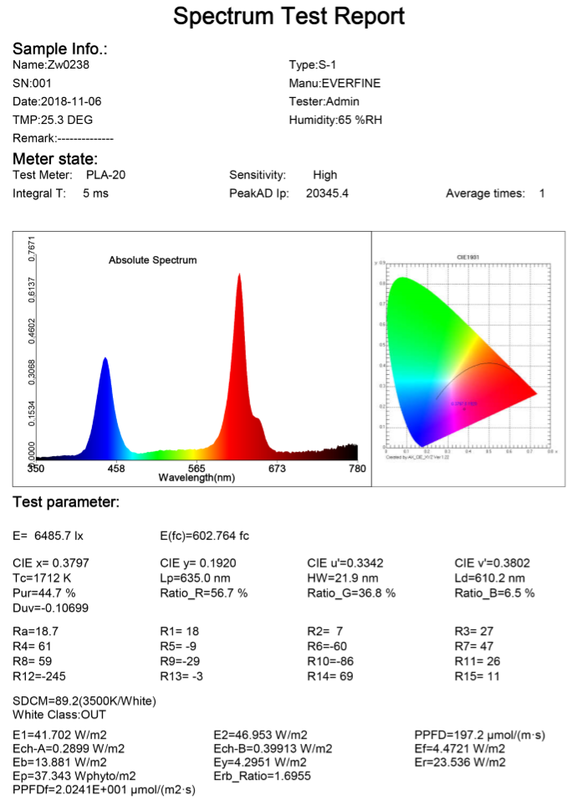 1.Q:Are your stated wattages actual or incandescent equivalent? 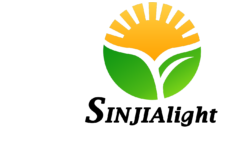 A:These are actual wattages so check your plants to see what wattage is recommended for optimal growth. My tropical plants love this one. 2.Q:I'd like to grow strawberries under this light. Any opinions on this subject? A:Of course, that would be a very wonderful thing. Using this plant bulb will make your plants grow faster and more beautiful! 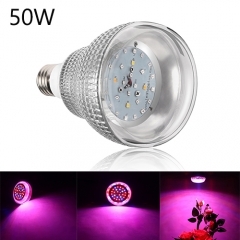 3.Q:What is the total length of this 150w led grow light bulb? 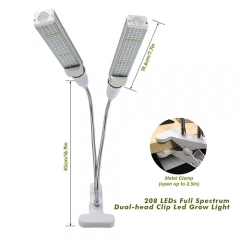 A:The dimater of this led grow light blub is 6.9 in and the length is about 8.9 in. 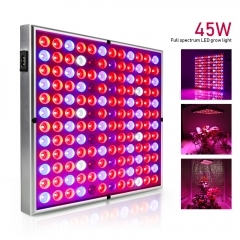 4.Q:What is the warranty off this LED grow light? 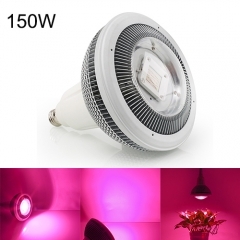 A:LED grow light is a high quality product. We have a warranty of 2 years. 5.Q:Can this grow light be used outdoors? 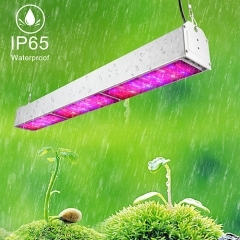 A:This led grow light is not waterproof. We do not recommend it to be used outdoors.